We're adding the FUN into fundraising! We believe pubs are at the heart of every community and we aim to build and nurture these relationships through everything we do. As the Island’s largest private sector employer, we understand the importance of giving back to our local community and place our charity activities as a top priority. We are delighted that our nominated charity this year is Guide Dogs. We want to support a charity with a positive, life-changing impact and the guide dog service does just that, transforming the lives of more than 10,000 blind and partially sighted people every year. In 2015 they provided two million days of mobility! As such, we want to raise £20,000 to name and sponsor the training of 2 guide dog puppies. The money raised will give us the privilege of naming two guide dog puppies. We will also receive individual updates on their progress through training as well as photographs from birth to qualification as a guide dog. It takes around 20 months to transform a tiny puppy into a confident guide dog, and we, and our customers, can proudly follow them every step of the way. A huge thank you to all of our customers who have contributed to our fundraising efforts so far. We’re happy to announce that our total to date is a whopping £20,000, which means we are able to sponsor a second guide dog to join Brearley on his journey to becoming a fully trained Guide Dog! We are incredibly pleased to introduce you all to our beautiful 2nd Guide Dog puppy, Amber! 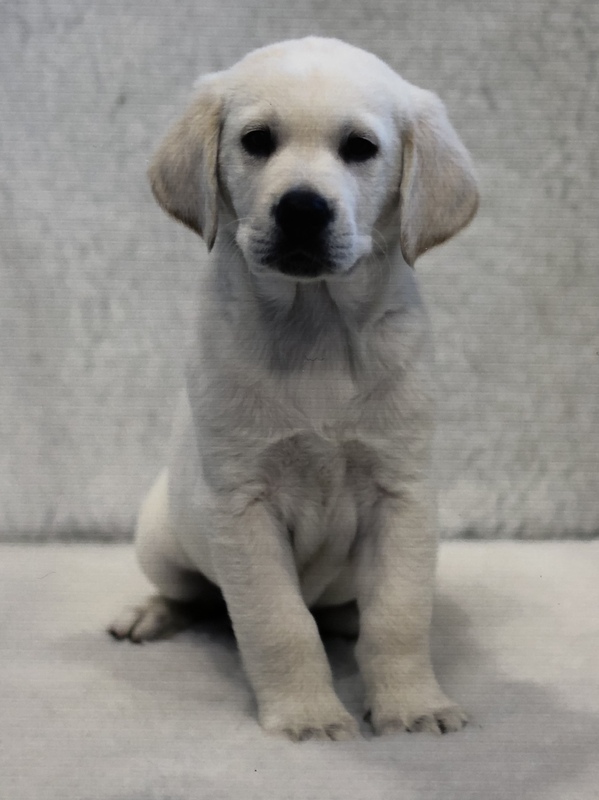 Born on the 8th February, Amber is a Golden Retriever cross Labrador and joins her H&B brother, Brearley, on their journey of transforming from an uncoordinated bundle of fluff into a fully trained, responsible Guide Dog. Without everyone’s hard work and support, we would have been unable to achieve our target of £20,000 and sponsoring 2 Guide Dogs so thank you very much! We are continuing our fundraising journey with Guide dogs, having exceeded our current target we are able to purchase a third life changer puppy… so please continue to make sure you have your guide dog boxes front and centre and continue your banking. Also please email me with any name suggestions! We will keep you up to date with Amber’s progress as and when her report cards come through. Not forgetting a little update on our first born Brearley, who will be on his way to big school next month & leaving his current handler Jane to be paired with his “person” this will require very intense training and we have no doubt he’s going to make a great Guide Dog & change the life of someone by giving them back their independence. 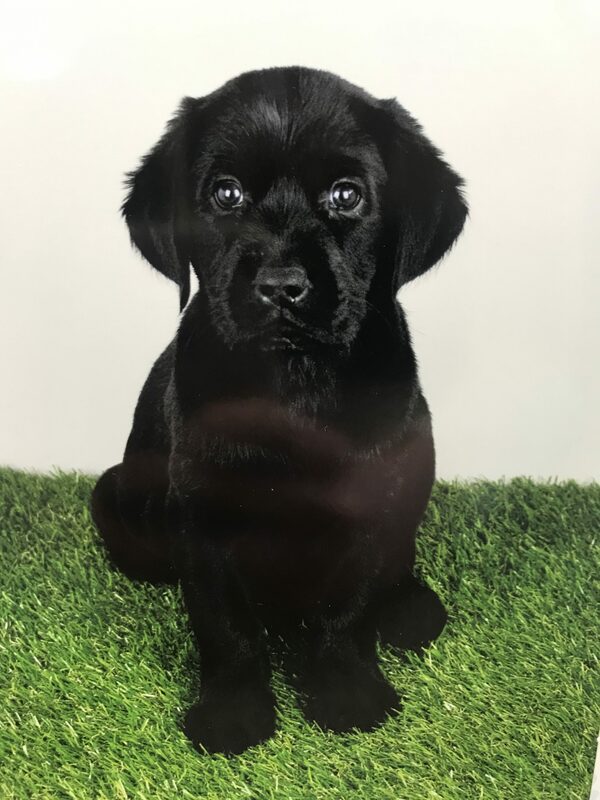 We’ve recently been in touch with Brearley’s Puppy Walker, Jane, to find out how he’s getting on in the final few months that he’ll be spending with her before he makes the move to ‘big school’. According to Jane, Brearley is progressing well in all areas of training and has mastered all of the basic obedience commands now, and will perform them promptly when asked. The only area of training that Jane is giving a little more focus to is Brearley’s dog distraction. It is slowly improving when he is on the lead on a training walk, but it is still a work in progress at this stage, so Jane will continue to focus on this in the coming months. Brearley can now maintain the basic guiding position, which is on Jane’s left side, just in front of her, and with light to moderate tension on the lead. When he’s walking around a busy town centre, Brearley continues to take everything firmly in his stride and doesn’t tend to get too distracted by the crowds of people. Brearley has now had lots of practice walking up and down flights of stairs and getting in and out of lifts, and we’re pleased to hear that he’s done brilliantly with both of them. Brearley continues to travel well on public transport; Jane told us that he always settles well after he’s had a little scavenge for crumbs on the floor. In the coming months, Jane will be taking Brearley to the countryside where he’ll see horses, sheep and cows, which we’re sure he’ll enjoy. When he’s out and about, Brearley will stop and stare at birds but he hasn’t shown any strong desire to chase any, which is good to hear. We hope that you’ve enjoyed following Brearley’s journey over the last 10 months or so. He’s come such a long way in the time that he’s spent with Jane and we look forward to celebrating his first birthday in a couple of month’s time.